*** I will be giving a presentation on my work Thursday, October 2, 6 p.m at the Museum. The Eleanor D. Wilson Museum at Hollins University enters its second decade this year with a fall exhibition celebrating photography. In collaboration with the Schmidt-Dean Gallery in Philadelphia, the museum presents an eclectic exhibition of thirteen contemporary photographers represented by the gallery, all of whom enjoy regional and national reputations. Curated by Schmidt-Dean Gallery director Christopher Schmidt, the exhibition features a wide range of both technical and conceptual approaches. 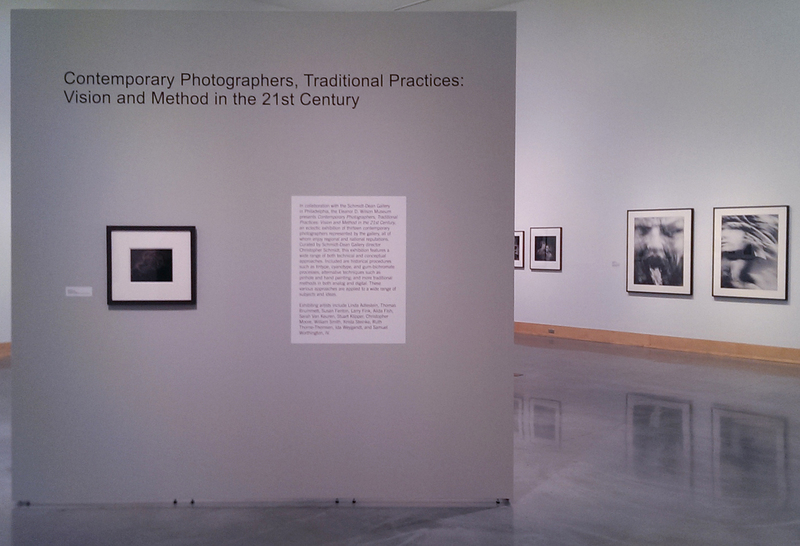 Included are historical procedures such as the tintype, cyanotype and gum-bichromate process; alternative techniques such as pinhole and hand painting; and more traditional methods in both analog and digital. Throughout, these various approaches are applied to a wide range of subjects and ideas. Exhibiting artists include: Linda Adlestein, ***Thomas Brummett, Susan Fenton, Larry Fink, Alida Fish, Sarah Van Keuren, Stuart Klipper, Christopher Moore, William Smith, Krista Steinke, Ruth Thorne Thomsen, Ida Weygandt, and Samuel Worthington.